To celebrate the tenth anniversary of the well renowned Peat Monster, compass box have released this new take on the old favourite. Limited to 5,700 bottles, this edition features a richer blend, utilising some ‘quite odd casks of peaty Highland whisky’. Islay single malts distilled on the south shore of the island and in the village of Port Askaig, balanced with a rich, smokey Highland malt and a fruity oily malt from the village of Brora. Primary maturation is in first and refill American oak, plus approx 2% new French oak for finishing. Peaty reeky. Highly medicinal peat smoke. Oily. Brine. Wet ropes. Salty coastal air. Some light vanilla and green fruit notes. Peat blast, briney, lots of sea salt, the peat reek transposes itself into the palate and the back of the throat making it feel like my head is well and truly consumed by a smokey peat stack. Fresh green apples touch the tongue mid/end development. The smoke is here to stay for quite a while. With a warming embrace. With a drop of water the nose produces more bellowing bonfire smoke. Quite breathtaking. The palate becomes sweeter, with the apples becoming juiced and crunched through. Vanilla makes more of a entry, with the peat smoke well retained into the middle/end development. The finish drying, smokey and very clean. 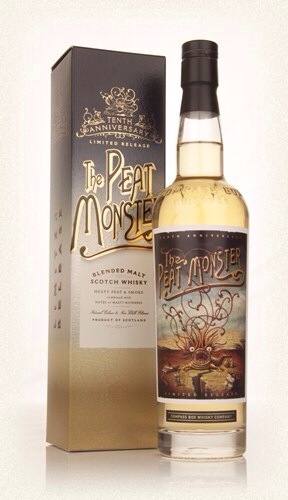 A peat monster in name and actuality. It’s a rather spectacular dram, fully concentrating on those heavy peat characteristics, while being a very smooth and relaxing dram. It can take a wee drop of water well, and benefits from it greatly. Impressive, as you would expect from Compass Box. Thanks to Compass Box for providing the sample. Much appreciated. 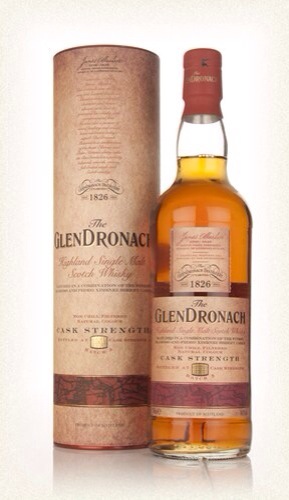 It’s that time of the year for a Glendronach Cask Strength release. Batch 3 is the latest run in their ever popular and high quality Cask Strength releases from this craft distillery. A mix of oloroso and Pedro Ximenez sherry cask maturation. Let’s see how it is. Big intense sherry fruit and spices. Warming spicy rum drenched raisins. Alcohol infused Christmas pudding. Plums. Cinnamon. A dusting of sugar. Some good oak spiciness in the mix. A fair nutty set of aromas. Some melted chocolate over warm toffee is ever present. There is a little lighter creaminess to this nose when comparing to batch 2. Exceptionally pleasant. Thick, oily, creamy mouthfeel. Massive sherry blast, the alcohol burn, once subsided the richness of the fruits, raisins, plums, some orange all come forth with a creamy spicy voluptuous body of spices and gorgeous sherried continuum of enjoyment. When comparing the batch 2 I find there is less of an intensive alcohol blast, batch 3 being smoother and more immediately palatable with more accessible fruit in its undiluted form. Warming spice coated dark fruits. Drying out but with fruitiness ever present and the sherry oak tannins remaining for a long finish. Comparing to batch 2, batch 3 is smoother and has less burn in the undiluted finish. Adding a nice splash and giving some time. The nose now exhibits more dusting sugars, and oak presence whilst still retaining a fair bit of of the fruity goodness of the undiluted nose. The nuttiness is more in the front now. The palate…wow…the fruit and nut and oak is all there in abundance and is just plain fantastic, lovely balance of sumptuous flavours. The oiliness allows this transition of flavour to palate so effortlessly. More. Want more. The finish feels longer, fruitier, and has some excellent feel good factor in there. I absolutely love batch 2 and still have a bottle on the go which I will enjoy to its very last drop. I am going to most definitely replace it with a batch 3 though, which I have found to be an amazing addition to the range, and (probably, not having sampled batch 1) is the best batch I have had so far. I’d love to know the age of these, I would assume that batch 3 is older than batch 2. I continue to absolutely adore the Glendronach spectacular sherried experience. Thanks to Benriach/Glendronach for the lovely sample. Greatly appreciated. Since the release of Compass Box’s Great King St. Artist’s Blend in 2011, Compass Box have been contemplating their next permanent expression under the Great king St. Moniker. Two options are currently being considered, and Compass Box decided to release a limited number of each expression for us, the regular whisky drinking folk to take a taste and smell of and give our impressions. The options are a lightly sherried release (#00-V4) and a smokey release (#TR-06). In this review I’m looking at the smokey release having already reviewed the sherried variant. This is a limited release of only 3,809 bottles, so it won’t be around for long.
. Brine. A little green apple. Some pear. Very light vanilla. Some tar. Very crisp and fresh nose. Clean and fresh. Some pepper spice heat. Sweet. Apples and other green fruits, along with some oak and the sweet sweet peat. The smoke fills the senses with warmth. End development things become calm, with war embers of that peat fire embracing the chest. Sweet peat smoke and green fruit juice stays for a medium-long finish. Drying out with a little oak tannins and very pleasant dryness left on the tongue. A small splash added. The smoke has mellowed on the nose to reveal an extra level of floral complexity. Some dusty oak and sugars, and a little marshmallow. On the palate additional creamy marshmallow is very present and pleasant. The finish remains earthy and peaty with some wet grass added into the oak. Well, I never thought I would say this being a bit of a sherry head. But I really like the smoky TR-06 expression! That’s not to say I don’t like the VR-04, because I do, but if I had to choose between the two I really like the freshness and smoke that is in the TR-06. Thanks to Compass Box for providing the sample. Two options are currently being considered, and Compass Box decided to release a limited number of each expression for us, the regular whisky drinking folk to take a taste and smell of and give our impressions. The options are a lightly sherried release (#00-V4) and a smokey release (#TR-06). In this review I’m looking at the lightly sherried version with my take on the smokey release to follow shortly. 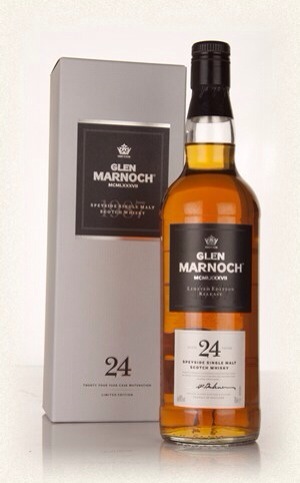 The V4 is made up of 28% Lowland grain whisky and 72% malt whisky from Speyside, the Highlands, Islands and Islay. The maturation is mostly first fill sherry cask with some refill bourbon cask also making up the blend. This is a limited release of only 3,439 bottles, so it won’t be around for long. Very spicy. Ginger, pepper, chilli. A little smoke in the background of the charred variety. With time in the glass the sherry influences start to shine through, with some oranges,raisins and plums making an appearance. A level of creamy jamminess then makes itself aware. Almost a spicy marmalade. A little dusting of cinnamon also. Spicy bite, the pepper spices are predominant with the fruit, in the form of a jammy concoction coming through on the mid development. Then turns creamy and almighty smooth. I sense a minute amount of peat sweetness on the back of the palate as it slides down. Sweet to dry, the fruit jam and a little peat sticks around. With a little oaky spice staying towards the very end. Only a tiny drop added. Wow, the jam jumps forward on the nose, the spices more backseated with a little additional hints of leather coming through. A little flowery floral is also present now. On the palate there is very little difference noticeable, although the experience is slightly softer and has less of an initial peppery punch. The finish has a little more light peat earthiness to it. Well, it’s a great start to the experimental comparison. A very competent, well constructed blend, spicy, fruity and wholly enjoyable. Compass Box Delilah’s is a limited edition (6,324 bottles) release to pay homage to Mike Millar’s legendary punk bar Delilah’s. Located in Chicago it celebrated its 20th anniversary this year. Bottled in July 2013, Delilah’s is designed to be drank alongside a cold beer. Bottle at 40% with. I added colouring and non-chill filtered. It’s described to contain single malts from the towns of Alness and Longmorn (50%), and single grain whisky from Fife (50%). Sweet, honeyed vanilla malt. Stewed apples. Creamy custard. Quite a luscious and full mouthfeel considering its 40% strength! really quite remarkable and surprising. It is exceptionally smooth and light. Some citrus and oak tannins come through with additional sipping. Pepper and some cinnamon spices join the party on the tongue. The creamy custard laden apple pie and cinnamon spice sticks around for a fair time, warming, and nicely oily. Drying slowly and leaving oaky spices. I would suspect this is clearly designed to be drank from the bottle, but in the interest of science, let’s add a small drop. Wow, it takes a drop quite nicely. The nose is more balanced out, and the definition of fruits and spices are more pleasantly level. There is more of a pastry note to the nose now, and this fruit more heavily sugared. Almost jam like. The palate reflects this also, more fruit and pie going on. The finish is initially sweeter and more drawn out. This is a surprising dram. Having learnt to be a bit of a skeptic when it comes to whiskies with a 40%abv I did wonder what was going on with this release! But you know what? It’s all good. In fact it’s quite great! Compass Box went out to make a whisky to sip alongside a beer, that’s successful enough, but to be honest, who needs the beer! I’ll just have the whisky! Available for £28.80 (normally £36.00) at Waitrose! 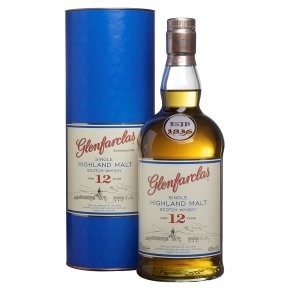 Glenfarclas 12 year old is quite a rare expression of Glenfarclas. For many years it was a travel exclusive, but recently it has been showing up in Waitrose, I’m guessing a bit of an exclusive for them, but do not have that in any way confirmed, so that’s just me making assumptions. On with the tasting. This tasting is from a freshly opened bottle, little time (apart from in the glass) for breathing. Very sweet, Rich, thick syrupy toffee malt. Moderately sherried raisins. Chocolate. Pepper. Oak spice. Very reminiscent of the 10 year old, easily sniffable for prolonged periods. A touch of soft spearmint in the background maybe. Dry then sweet, juicy sherried fruit. Raisins, grapes, toffee, coffee, syrupy honey, brown sugar. Easy on the mouthfeel, and easy going at 43%. Coffee mocha. Drying. Sherried oak stays around for a very long time, with a herbal edge reminiscent to having have had a cough sweet some time ago. Small drop added. More mint and herbal influences come through on the nose. The fruitiness has been dampened by this added complexity. The palate is slightly drier, still has the wonderful fruitiness, but now has more oak tannins present. There seems a little bit of citrus tartiness in the palate now, some sour coming through the sweet. The finish is still long, drying, more herbal cough sweet aftermath going on. Very pleasant experience. Big and punchy. Sherry definitely. Some tobacco smoke. Chocolate. Coffee grinds. Christmas spices. Raisins. Christmas cake. Orange peel. Slightly waxy. Sherry monster of a nose with some good complexity. Oranges. Sherry. Sweet. Some Xmas spice. Coffee mocha. Drying out into oak spices. But the fruity raisin aftermath is still there after quite some time. Small drop added. More age appears in the form of polished wood on the nose. A little powdered sugar. The palate feels sweeter, more sugary but still bursting with all the spiced Christmas fruit previously experienced. The finish has more coffee notes and is a little drier. Adding another drop. The mouthfeel has diminished a little more. It’s less chewy now. But there is a little more depth to the fruit in the palate. Coffee is more prominent in the palate as well. This is a cracking dram. It’s got nice complexities, is a proper sherry monster and just tastes beautiful. Another dram that marks all my boxes with a big fat rum soaked raisin. Thick syrupy sherried malt. Molasses. Alcohol infused sultanas and plums. Quite pungent, with some alcohol burn. Burnt caramel. Toffee. A little apple. With time in the glass, a juicier set of plums are more evident. More time in the glass and things smooth out, it becomes much easier to nose and gives further Christmas spices. With some chocolate orange coming through to the front. Heavy sherry, thick spiced toffee plum tart with sugar syrup. Lovely rich coating mouthfeel. Chilli, cinnamon and pepper. After the ABV burn subsides, things level out with caramel, more toffee, brown sugar, chocolate and a tiny little orange peel. Long sweet finish. Sweet fruit jam remains, some candied corn, drying out with a little oaky spice. With a splash of water I get even more fruit on the nose, spices more intertwined, and perhaps a touch of floral. The diluted palate allows for those fruity flavours to be savoured even more, this dram really benefits with a splash of water, the fruits are more sumptuous and spices more baked into those fruits. The finish is still sweet and warming. A warming, fruity, spicy, Christmas dram. Being a bit of a sherry head, this one knocks all my nails. Star Wars Episode VII – December 18th 2015 release date!!! Initially quite a vanilla cake mix nose, but with time very Complex fruit. Loads of it. I seem to be finding all sorts. Oranges, apples, pears, lemon citrus, then pineapple. A little more time and Polish comes into the mix, with some shiny varnished wood panelling to match. A little dusty museum thing going on. A good start. A little more time and powdered sugar is in the forefront. More time and pineapple back up front. It’s quite changeable. Sweet. Vanilla. Honey maltiness. Light mouthfeel albeit still reasonably coating. A reasonable fruity mix going on, but is somewhat overpowered by the sugars. A little fizziness in the mid development. A little warmth mid palate, but overall very smooth. I would say more fruit than wood, but there is definite oak spices (pepper) there, just not heavy. Fizzy Sweets, then a minute touch of salt and bitter, sweetness comes back, finally slowly drying out, leaving a slight oak dustiness behind. Tiniest little drop. The nose now has almost a little charred wood smoke to it. Still retaining its fruity complexity and aged wood hints. The diluted palate gives a little more woodiness, whilst dulling down some of the sugars. The finish is drier and dustier sooner. And possibly a little bit more bitter at the mid/end finish. Ok…so….it’s nice. It’s complex. It’s got a few oddities in the palate and finish, but nothing overall spoiling the experience. It’s obviously 24 years old, but probably doesn’t feel like a 24 year old, it feels younger, it actually reminds me of one of the major distilleries 18 year old expression, possibly with a little more in the nose than that expression though. For the money it’s well worthy of a go. If only aldi/Glen Marnoch (whoever they may be) would up the ABV, ditch the colouring, non-chill filter etc, it would be very interesting indeed!